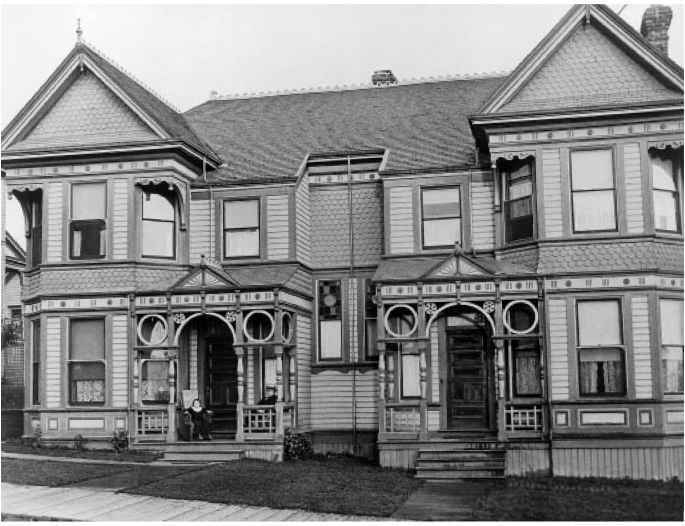 The Henry Van Asselt residence typifies the Queen Anne architectural style in some of the movement's most characteristic details: irregular massing, a steeply pitched cross-gabled roof, first-floor canted corners with end brackets, an ornately decorated front porch (including a horseshoe arch), and Queen Anne windows. Images of this house suggest how houses can change over time. The photograph taken in 1955 shows a monochromatic paint job, an added second-floor window, perhaps for a bathroom (far right), and the removal of the ginger-breading (including the ornate horseshoe arch) from the front porch. It is likely that the porch gingerbread-ing was removed because of rot in the original decorative elements. The second floor window addition is trimmed with molding representative of the Craftsman design movement, and was perhaps undertaken during the 1910s-1920s. 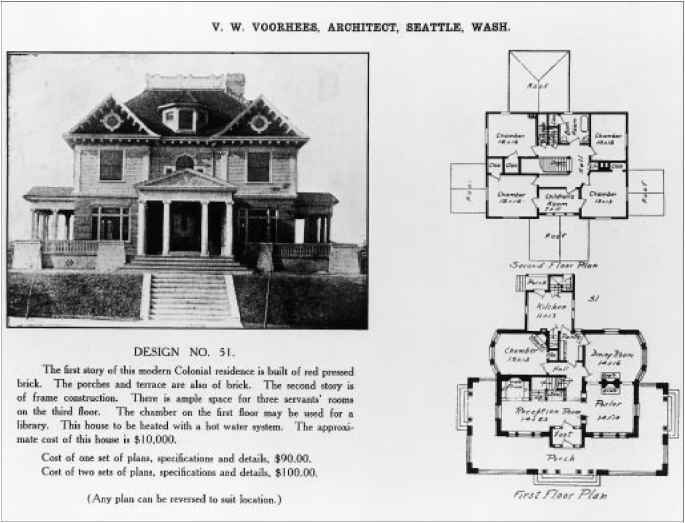 Van Asselt was among the first settlers to arrive in the Seattle area. A native of Holland, he moved to New York in 1877 and then traveled westward to Iowa and then Oregon. By 1850 he lived in Oregon City, and is rumored to have lost his home during an Indian conflict of the 1850s. He made several trips to the Puget Sound region, settling there in 1889. Van Asselt was a jack of all trades, and worked as a farmer, shingle maker, carpenter, and cabinetmaker at various times in his life. He was also an expert marksman, a valued skill during the settlement era.